Looking for cutting edge hardware and state-of-the-art security that’s perfect for your salon and spa experience? Meet Clover Mini and find out why good things come in small packages. 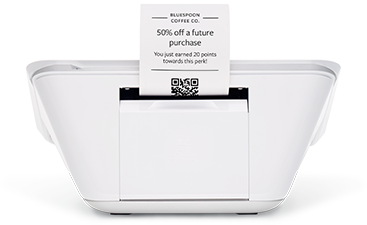 Clover Mini is a great payment solution for salons, gift shops, and medical offices. Running a small business is no easy task. There’s all the day-to-day stuff. And preparing for a year from now? It’s a lot to think about, and a ton of pressure to deliver on. But with Clover Mini in your corner, you’re ready for whatever business throws at you from day one. Ability to accept multiple credit and debit payment types. EMV (chip + PIN; chip + signature). Contactless (Including Apple Pay, Android Pay, and Samsung Pay). 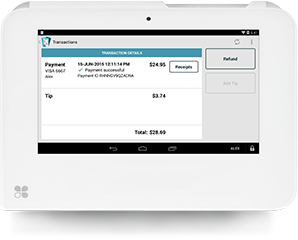 Manage tips and pre-auth tabs and cards. Barcode and QR code reading (using front-facing camera). Internet Connectivity: Wi-Fi (802.11a/b/g/n wireless), Ethernet. 7″ Antimicrobial Corning® Gorilla® Glass display screen. 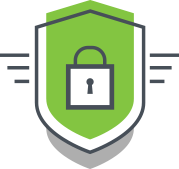 TransArmor Solution to protect you and your customers. Take all kinds of payments, from magnetic stripe, EMV® chip, standard credit and debit cards to contactless payments, without additional equipment or software. Set up a digital loyalty and rewards program to attract new business and keep customers coming back for more. 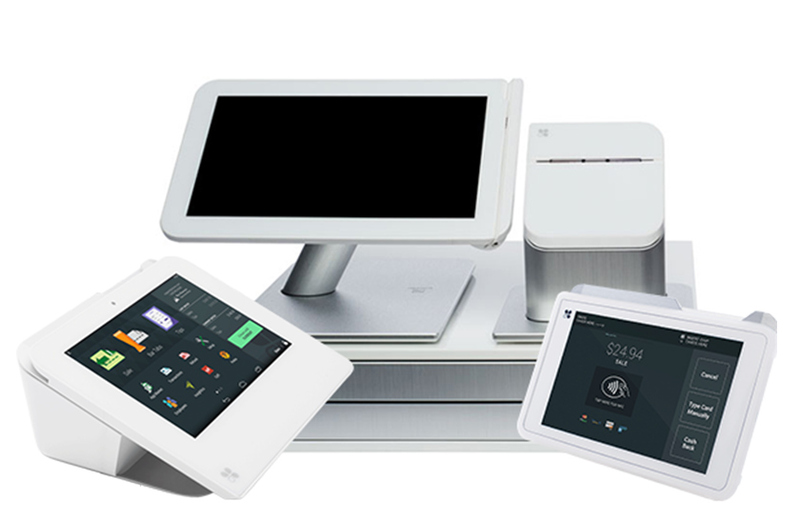 Turn your Clover Mini into a a full featured POS system. Attract new salon customers via marketing partners such as Yelp and Google and provide real-time appointment booking options online, on social, and on mobile — anytime. Manage breaks, overtime, tip tracking, timesheets, payroll-ready timesheet exports and more.